Towson’s men’s basketball team began practice this week, on Monday, Oct. 5 at SECU Arena, which kicked off the 2015-16 season. Towson has brought in four new players to the team this season, including redshirt junior forward Arnaud William Adala Moto, who sat out last season after transferring from Wake Forest. Moto averaged 6.9 points and 5.2 rebounds during the 2013-14 season his sophomore year at Wake Forest and is a former four-star recruit, according to ESPN. Due to NCAA transfer rules, Moto sat out last season. The Tigers also added three new faces with redshirt freshman guard Jordan McNeil and freshman forwards Alex Thomas and Dennis Tunstall. McNeil, a graduate of nearby Mount Saint Joseph’s High School, chose Towson over schools such as College of Charleston, Toledo and UMBC. Joining sophomore Byron Hawkins, McNeil adds another weapon to Skerry’s young backcourt. Thomas, a transfer from Coastal Academy who also had to sit out last season due to NCAA transfer rules, is a 6’9” forward who averaged 17.1 points, 12.3 rebounds and 3.3 blocks per game as a senior at Hawthorne Christian Academy in New Jersey. Also in the front court is 6’8” forward Tunstall who is a three-star recruit out of Life Center Academy in New Jersey, according to ESPN. In his senior season, Tunstall averaged 16.9 points for LCA. The collection of incoming freshmen and transfers join a core group of players remaining from last season’s disappointing 12-20 finish. 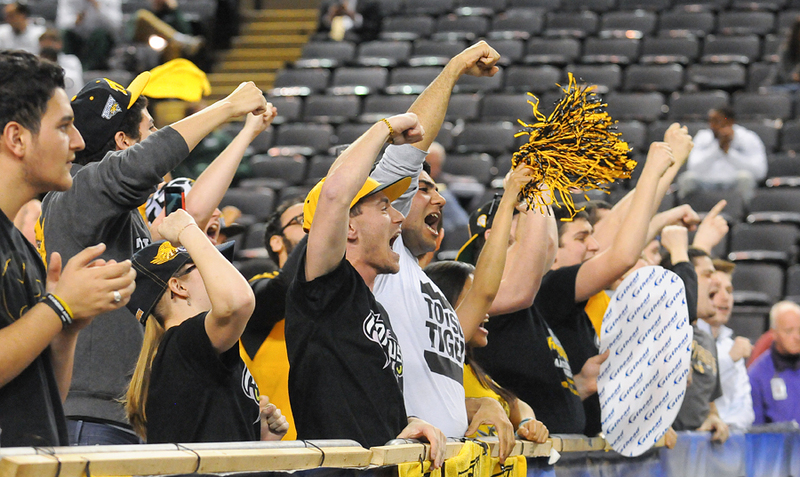 Towson’s first game is an away game against La Salle on Nov. 16.